Delta Hydronics provides unique and specialized water heating and cooling solutions for the commercial Aquaculture, Aquarium, Zoo and Hydroponic industries. We specialize in providing complete engineering, equipment supply and turnkey installation as required for your custom application. Delta can provide all the products and services you need to make the project truly turnkey. Delta Hydronics will comprehensively evaluate your system requirements to determine the proper boiler/chiller equipment sizing, pump flow rate requirements and piping system design. Delta sizes each individual equipment component to guarantee the system performs to customer requirements. Delta also furnishes system installation diagrams, equipment specifications and associated technical services necessary to assure optimal water temperature. Balancing heating/cooling equipment output with correctly sized heat transfer products is an important element to assure energy efficient operation and optimal water temperatures. 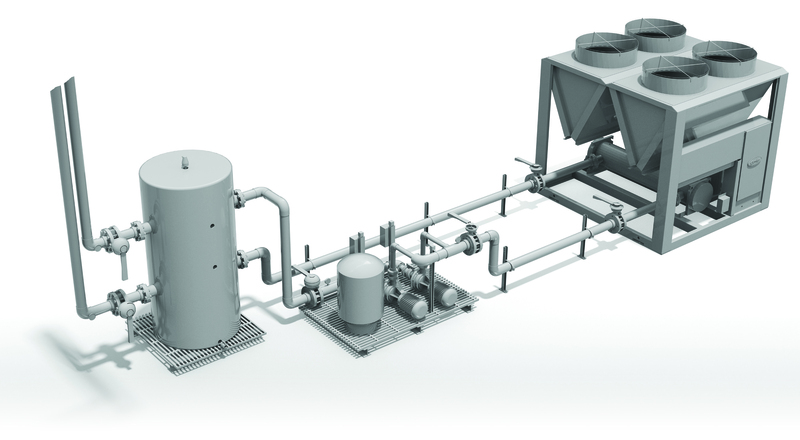 Delta can provide several heat transfer products for both fresh water and salt water applications. Delta designs heat exchanger systems using shell & tube, plate style, and immersion grid coil products constructed of titanium, 316SS, and polypropylene materials. Delta accurately sizes the required heat transfer surface areas essential for efficient BTU’s transfer to the aquaculture system using appropriate materials, flow rates and chiller/boiler water supply temperature. Primary pumping system flow rates are critical to boiler/chiller equipment performance, prolonging equipment life spans, and delivering the correct GPM and water temperature to heat transfer equipment for optimal water temperature control. Delta Hydronics calculates the required system flow rate and pressure drop to select the most efficient pump curve and HP requirements. Delta offers pumps fabricated of non-corrosive materials such as marine bronze, fiberglass, polypropylene, CPVC and cast 316SS to match the aquatic system water environment. Customer specifications often require that aquaculture system water temperature be controlled to an accuracy of +/- 0.5°C. Consistent system temperature requires accurate control of chiller/boiler supply water temperatures to heat transfer systems as well as precise monitoring of aquaculture system water temperatures. Delta uses digital temperature controllers with titanium encapsulated sensors to maintain optimal water temperature control. Delta Hydronics will size equipment piping system requirements as well as completely design the water distribution piping layout for centralized chiller/boiler system applications. We use primary/secondary piping configurations to tie in numerous heat transfer systems servicing various aquaculture tanks and temperature requirements. Delta designs our heating/cooling applications within the operating specification of SCH 80 CPVC pipe, taking full advantage of the non corrosive properties and low heat conductance values of this material.